WORLDWIDE SHIPPING An extended hoodie with an original cut made of 100% cotton. Accessories in the form of rubber belts and embroidery with the Yield logo on the chest. 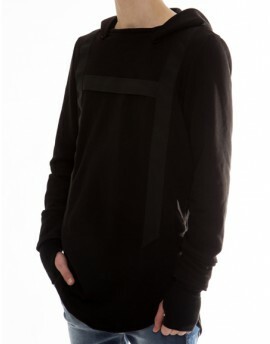 The hoodie has two side pockets and an extended puller with a thumb hole at the ends of the sleeves. Made in Poland.